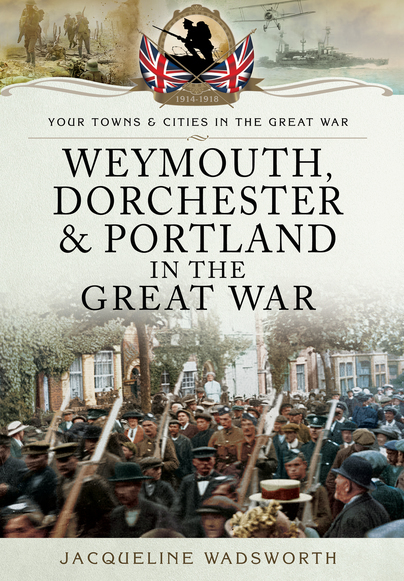 You'll be £12.99 closer to your next £10.00 credit when you purchase Weymouth, Dorchester & Portland in the Great War. What's this? Using contemporary letters, diaries and newspaper stories, and illustrated by almost 100 photos, this book gives warm account of life in Dorchester, Weymouth and Portland during the Great War, ensuring the people at home who lived through those dreadful years of conflict are remembered too. After months of research, Jacqueline Wadsworth uses stories she discovered in local archives, newspapers and old family letters and diaries, to give a colourful account of what life was like on the island for ordinary people... Portland's war story is told alongside that of Weymouth and Dorchester and the book is well illustrated with more than 100 photographs and pictures. A fantastic book exploring the experiences of ordinary people in the south Dorset area during the Great War as they adapted to the outbreak of conflict, from exploits of the German spy at Wyke, to the popularity of Australian troops with local ladies. This account has a poignant and human feeling, and is a strong reminder of the sacrifices made at home during that time. Exploring the experiences of ordinary people in south Dorset, as they adapted to the outbreak of war in 1914, this book ranges from the exploits of a German spy at Wyke, to the popularity of Australian troops with local ladies. The account has a very human feel and is a poignant reminder of the sacrifices made at home during the Great War. After reading this book, I shall visit a familiar area with a fresh perspective, peeling back the decades to connect with the people who walked the streets of South Dorset a hundred years ago. As featured in the Dorset Echo this fascinating and powerful retold account of individual stories and the humorous recollections of the young men and women who's lives were changed forever is a must read. This book has "unearthed some priceless human stories of life and emotions here in WW1"